While common in Mexican cuisine, guisados (Spanish for “stews”) are usually not featured in Mexican restaurants. Rather, these flavorful liquid dishes are often overshadowed by staples like traditional tacos, quesadillas, tortas or flautas, to name a few. 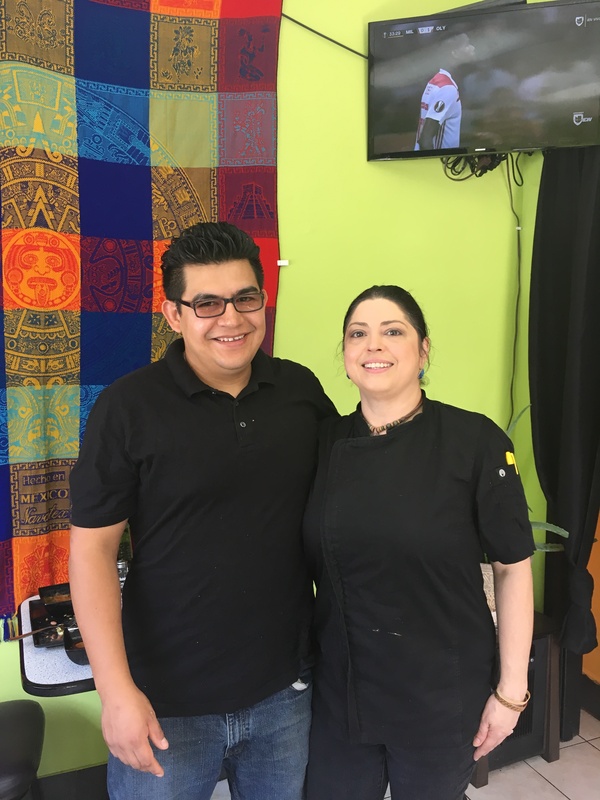 Entrepreneurs Roman Figueroa and Raquel Rodriguez are looking to change the status quo with their restaurant, Guisados Don Roman. To be clear, the stews Figueroa cooks up in his small restaurant just south of the Italian Market are some of the best-tasting examples of Mexican cuisine I’ve had in Philadelphia. I highly recommend a visit, and it is imperative that you try their guisados. Figueroa develops the rich flavors of the stew by boiling the meat for two hours, then mixing it in with the sauce for an additional 30 minutes. The meat and sauce change daily depending on the particular guisado he is making. The guisado on offer when I came was pork ribs with potatoes and cactus, marinated and served in a tomato base with garlic, black pepper and onions. While the main stew changes, Figueroa always offers the classic Mexican pozole, which was similarly excellent. The soup consists of chicken with white home corn, a guajillo chili base, cilantro, black pepper and garlic seed. “Roman’s pozole is the bomb,” Rodriguez, who is Figueroa’s wife, said with a smile. She manages the restaurant and is responsible for creating the sauces. The initial idea was to create these stews for Mexican workers who would stop in before or after work or during their lunch breaks to get a taste of home. “About 60 percent of our customers are Mexican, the other 40 percent are American,” said Figueroa. Figueroa got his start in the restaurant business when he came to Philadelphia from Toluca, Mexico, around 2008. He briefly worked at a Qdoba in Center City where he met Rodriguez, who is Puerto Rican. At the time, she was working as his manager. Figueroa then developed his cooking skills at Café Spice Express, a small Indian restaurant inside the food court at Liberty Place. The idea to open his own place came from his sister, who helped to secure their current location. Rodriguez later joined to assist him with the operations and, together, they opened the restaurant in February 2018. “We are a really good team. I spend my whole life with my wife,” Figueroa laughed. Going forward, they hope to grow their customer base and continue to offer delicious, affordable meals for their clients. They also plan to mount a new sign and lights on the exterior, as well as set up tables and chairs so customers can enjoy their guisados outside. They offer delivery and work with Grubhub and UberEats. They are a BYOB and will make mixed drinks if you bring the alcohol. For more information about Guisados Don Roman, check out their website or their Facebook. Address: 1629 South 7th Street, Philadelphia 19148. Hours: Monday – Thursday 11 a.m. to 11 p.m., Friday – Saturday 11 a.m. to 12 a.m., Sunday 11 a.m. to 10 p.m. Prices: $5 - $14.